This session has openings for males and females. Registration for this session will end on 6/14/2019 at 12:00 PM. This session is especially for those entering High School. Emphasis will be placed on helping the camper prepare for the first days of HS while challenging them to a committed faith journey with Christ. $20.00 Bring a Friend Discount 1 $20 discount for inviting AND bringing a new camper (has not previously attended LSCA).This cannot be a family member. 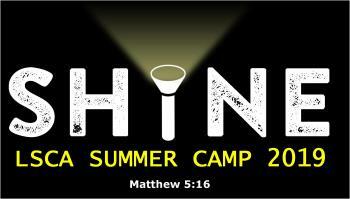 Invited camper must register and attend. $20.00 Bring a Friend Discount 2 $20 discount for inviting AND bringing a new camper (has not previously attended LSCA).This cannot be a family member. Invited camper must register and attend. $10.00 Early Bird Registration $10 discount if you register BEFORE May 1st.